Could we have gone all fibre rather than this G.Fast talk? - jxeeno™ blog. all the capital costs sunken into rolling out FTTN. 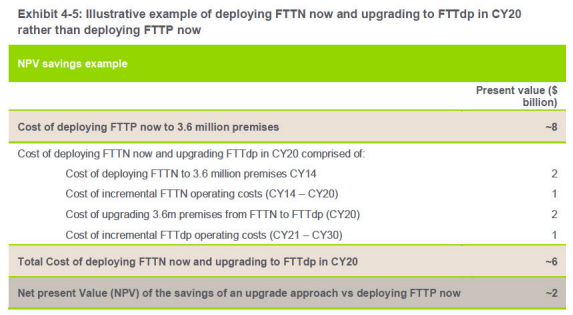 The only (financially) logical upgrade from FTTN is an FTTP overbuild. The capital sunk into FTTN nodes is just that: sunk, we’re never going to get it back. When NBN are talking and FTTdp upgrade they mean 48 port VDSL DSLAMS every block (basically adequate FTTN), not 4 port G-Fast boxes on the front lawn of every second house. And this illustrates the financial problem with FTTN. Every 1.5 years bandwidth demand doubles, and every 3 years bandwidth has to double just to maintain the current level of functionality. This means every 3 years the number of users receiving what they perceive as an inadequate service is going to double. And equally, you need to double the number of nodes to halve the number of dissatisfied users. 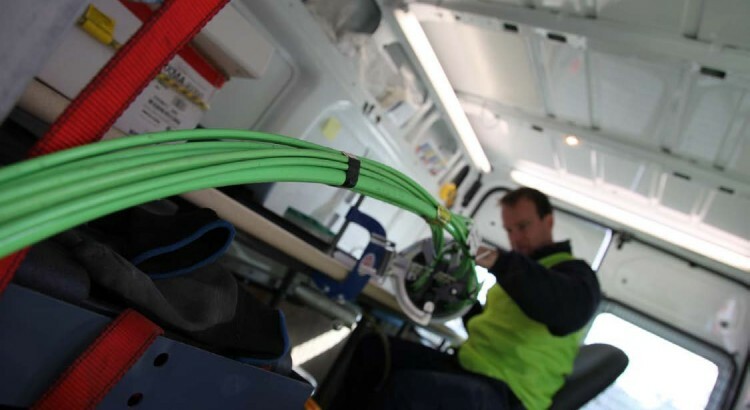 While “the future is wireless” statement is used to criticise the need for the fibre NBN, it’s far more applicable to MTM NBN which will be increasingly vulnerable to wireless competition.